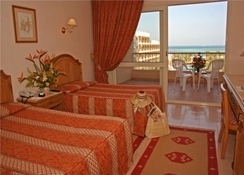 The Sea Star Beau Rivage Hotel offers an interesting location on a private beach, in the Egyptian town of Hurghada. The resort offers rooms with a minibar, television and air conditioning, and a bathtub in the bathroom. The rooms are spacious and speak of an elegant aesthetic. Some rooms may be connected to each other. In the common areas, guests have access to a gym and a sauna and bubble bath space. In addition, massages and beauty services are offered. The facilities include three fabulous swimming pools, and they have a mini golf and a play area for children, where various other activities are offered. The hotel offers camel tours and medical assistance, as well as an entertainment program for adults, which includes sports sessions, games and dancing. This resort has several restaurants and bars, including one offering a buffet menu with a vegetarian option, an Italian, a night club, a nightclub and an Egyptian-style café. There are also several terraces and a shopping centre. The old part of the city is where services and tourist entertainment are concentrated and the international airport is about 20 minutes away from the accommodation. 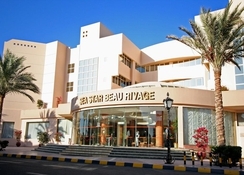 The Sea Star Beau Rivage Hotel offers a strategic location in the Egyptian city of Hurghada. 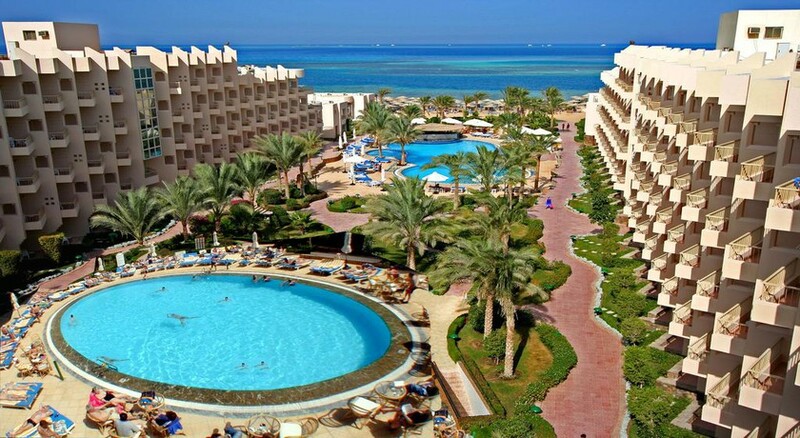 Clients will find tourist entertainment and most services in the old part of the city: some of the most recommended places to visit are the Hurghada Marina boulevard, the Arrivals Piazza and the Sahl Hasheesh beach. The airport is about 20 minutes from the hotel and around the area are the Grand Aquarium of Hurghada and the Mini Egypt Museum. You can also visit the city of El Gouna and this part of the coast is ideal for scuba diving - there is an ancient submerged city. 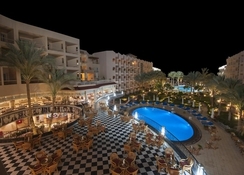 The Hurghada International Airport is about 13km from the property. 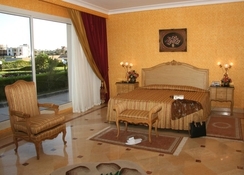 Rooms at the Sea Star Beau Rivage Hotel are classically decorated and can accommodate up to three people. Some have a balcony or are connected to each other and the bathrooms are marble and have a bathtub and a hairdryer. The general equipment of the rooms includes minibar, television, air conditioning and, in many cases, Wi-Fi connection. 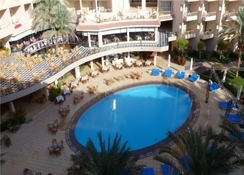 The Sea Star Beau Rivage Hotel offers its guests complete facilities that include several exciting bars and restaurants. The onsite restaurants serve a variety of cuisines in buffet style. There’s also a nightclub, an elegant cocktail bar and an Egyptian coffee house. 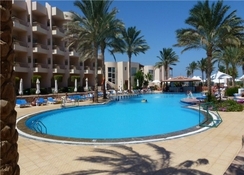 The hotel features a private beach area and three fabulous swimming pools. There is also a state of the art gym, sauna space and bubble baths. Guests can request massage and beauty services, and medical and laundry services are offered. The hotel has several shops, a water park where surf lessons are offered, camel tours, as well as sports and recreational sessions for adults. The youngest of the family can enjoy entertainment activities adapted to their age accompanied by trained staff. The complex also includes a mini golf course.